"EmployeeValueProposition" "EVP" "Employee Reviews" "CandidateAttraction" "CompanyCulture"
For a company to grow, an organisation needs to attract, hire, and retain the best talent, as these employees could be the difference between your company being successful or not. However, for many organisations, attracting and hiring the best talent can be a challenge, especially in this candidate-driven market where the most sought-after candidates have the pick of the litter when it comes to which job to choose. With so much job choice, 76% of professionals will research a company, online, before even considering a job opportunity. Job seekers, after all, are making a big life decision and are looking to get assurances that they are making the right choice. It's not just a company’s website and social media that prospective candidates are looking at; more and more, job seekers are turning to existing and former employees to get an accurate insight of what it is like to work for your company. Candidates trust employees three times as much as an employer and are increasingly using sites such as Glassdoor to find this information before moving forward. 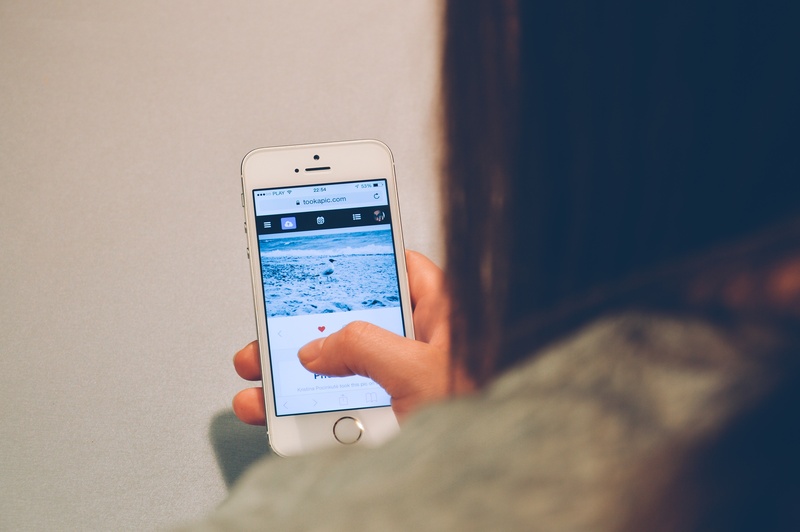 Review sites are becoming a common part of the modern decision-making process, with more and more people offering feedback on purchases and services on sites such as Yelp or TripAdvisor. It has now become the norm in the recruitment world, too, with Glassdoor and other company review sites giving former and current employees a platform to share with the world the pros and cons on different areas of working for an organisation and the application process. It is increasingly becoming the first port of call for candidates researching a company and can be the differentiator in whether a potential candidate picks one opportunity over another. But what happens if an organisation has a lot of negative Glassdoor reviews from disgruntled former employees, frustrated applicants, or disengaged employees who are less than satisfied with the ways things are going at your organisation? One or two lower scores for certain areas are understandable, it’s not going to be perfect for everyone, but what happens when you are getting several negative, one or two-star, reviews? There could be an underlying problem. Imagine applying or accepting a job at a fantastic company, only to find a review like this! You will probably be questioning whether you’ve made the right decision. Reviews like the one above could be discouraging potential candidates from applying or accepting a job at an organisation and could even damage the company brand. Would you want to buy a product or do business with a brand that has negative feedback from its workers? 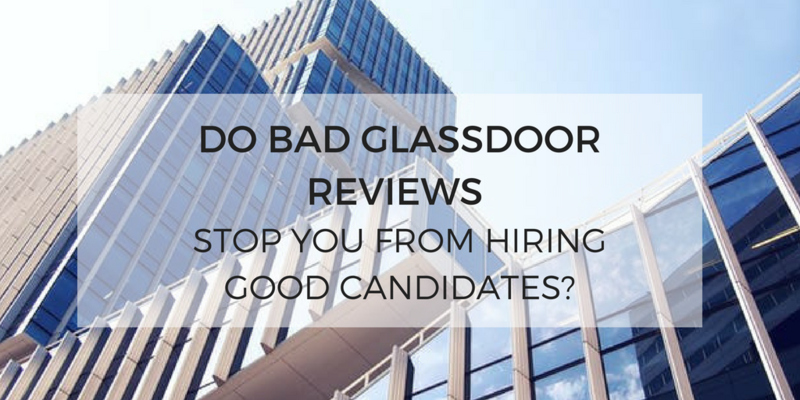 On the flip side, Glassdoor can be an extremely useful tool, with positive reviews being influential in the candidates decision to apply for an organisation. Existing employees can be the biggest ambassadors and advocates but only if they are satisfied with working for the organisation. Employer Value Proposition is what motivates and engages employees. It shows what an organisation stands for and what is being offered to current employees such as benefits, rewards and opportunities. To put it simply; it’s what makes an organisation attractive and enticing to potential candidates. Therefore, a strong Employer Value Proposition is key in assuring candidates what a great company it is to work for and can be crucial in setting your company apart from the competition. To build and nurture a strong Employer Value Proposition, existing employees need to consistently have a positive experience within the workplace. Just by asking for regular feedback, you could prevent negative reviews from happening. With an application such as OfficeVibe in place, you can gather feedback anonymously to find out issues specific to your workplace. You can then address these issues and proactively find solutions before they turn into major problems. Not only do employees feel at ease by submitting anonymous feedback, managers will get an insight into ten different areas within their company to understand where things are improving or failing. Performance reviews are also great ways of making employees feel valued and see what areas they are stuggling in. Don’t outcast an employee if they are under-performing. There might be a bigger, underlying issue that they don’t feel they can talk about. Exit interviews are also extremely important in maintaining that a positive relationship and getting the most honest feedback possible. This feedback can help prevent other employees from leaving in the future. Regular communication and engagement can also keep employees in the loop and reinforce the key benefits and values of working for an organisation, which in turn, promotes a great company culture and reassures employees that they have made the right choice in accepting the job. By nurturing your Employer Value Proposition, you will have a team of satisfied and happy brand advocates who are willing to shout out to your prospective candidates why they should come and work for your organisation. You can utilise these brand advocates as a key selling point in your candidate attraction strategy. Instead of fearing Glassdoor and other company reviews sites, embrace it and encourage your employees to give a review of working for your organisation. Not only can this re-affirm the positives that working at your organisation can bring to an employee, but it offers transparency to your candidates and gives them a real-life insight into what it's like to be an employee at your organisation. Encouraging employee testimonials can give your organisation the ammo it needs to persuade candidates to apply to your organisation. Positive Glassdoor reviews can be used (with permission) to optimise career pages to entice candidates to click on an application or to look at the opportunities that your organisation has on offer. It's not just written reviews, either, videos where your employees talk about benefits, opportunities and company culture can be a key selling point in persuading the best candidates to choose your company over other competitors. Placing these employee testimonials in highly trafficked areas on your website or social media pages can be the difference in whether a candidate applies or not as these employee insights into your company could be the boost that they need to apply to work at your company. By effectively communicating and engaging with your employees, you can build up a strong Employer Value Proposition that can demonstrate to the best candidates how fantastic it is to work for your organisation. Not only will you be attracting the most sought-after candidates, but you will be making sure that your employees will want to stay at your company for years to come. To find out more about how you can demonstrate your Employer Value Proposition and improve your candidate attraction click here.